The Japanese mobile gaming giants DeNA, GREE and the remainder of the industry have confirmed that they will work with authorities to remove a lucrative but controversial gaming mechanism from their services. As we reported over the weekend, the country’s Consumer Affairs Agency (CAA) is reportedly ready to clamp down on the “kompu gacha” system, which incentivises gamers to buy a range of virtual items based on the premise that they could win a ‘grand prize’, or rare item, for their efforts. However, DeNA’s CEO has today confirmed that the firm, and its peers, will work with authorities to phase the gambling element out of games and finalise a guideline by the end of May. 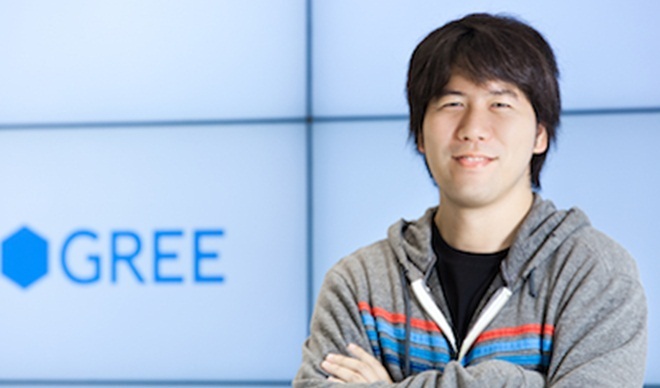 A DeNA spokesperson confirmed to The Next Web that Isao Moriyasu made the disclosure on a conference call today, as the company announced record annual revenues. Isao Moriyasu, our CEO, did say at the beginning of the earnings conference that DeNA will phase out game mechanics categorized as ‘complete gacha’ given the social concerns. We don’t have an official English quote but he made clear that it’s the direction DeNA plans to take. The spokesperson explained that, as the CAA is yet to make a public announcement on areas that it is looking to regulate, the company is unable to make specific comment. However, DeNA and the wider industry — represented by an alliance of social game companies — have pledged to work with authorities, including the CAA, to establish guidelines. DeNA points out that it has already voluntarily reduced kompu gatcha in two of its “popular” titles, while it is planning to release guidance to help third-party game makers adhere to the upcoming requirements. DeNA also denied claims that regulation will have significant impact on its business. The company argues that the games — which are hosted on its Mobage platform and not downloaded to devices — can be changed to adhere to the authorities’ requests, “we can implement other types of in-game events” the spokesperson explained. When it comes to revenue there could be disruption. A Reuters article quotes Moriyasu disclosing that the company “does not know if we can maintain the growth that we have enjoyed to this point” without the titles. Kompu gatcha games are thought to account for more than half of revenues from Japan, but no official data exists to fully quantify that. While it is true that DeNA, GREE and others are actively expanding their businesses outside of Japan’s saturated market, they still stand to lose significant income from domestic kompu gatcha regulation. That’s without considering the damage that the scandal continues to do to their share prices, which lost significant value on Monday alone. The day saw GREE down 23.3 percent and DeNA down 20.1 percent. Lower loses were incurred today — with GREE down 9.64 percent and DeNA down 1.33 percent — and GREE is generally seen as being more widely affected, as its platform and revenues have a greater dependency on the controversial kompu gatcha system. DeNA’s comments echo recent remarks made from GREE president and founder Yoshikazu Tanaka, who lost $406 million from his own personal fortune from the stock drop. Tanaka also confirmed that the industry body will fully cooperate with the government and release guidelines for mobile social gaming by May 31, Businessweek reports. We’ve reached out to GREE for further comment and will update this post with any new information that we’re provided with.